If you read any of the pattern and texture design articles from this website, you will find how many times it has been mentioned how great they are for any background purpose. And mentioning that again would be just a waste of words. Ranging from geometrical to tribal, they can all find a place in your design. 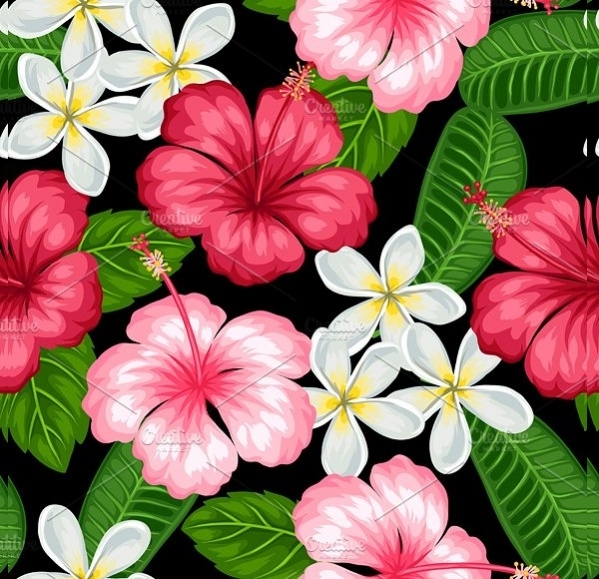 And to add to your list of patterns, here are some of the most beautiful flower pattern designs that may or may not fall under your category of Free Pattern designs. Come have a look at them. Compared to the previous one, this is much more relaxed and less detailed. 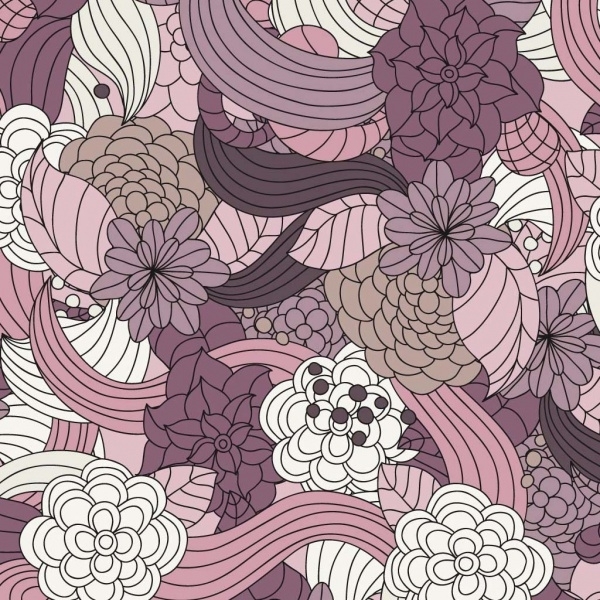 And thus will act as a great reference for anyone who is looking for design inspiration to start off on original flower pattern and designs. Take any vine design and start repeating it over a design surface. 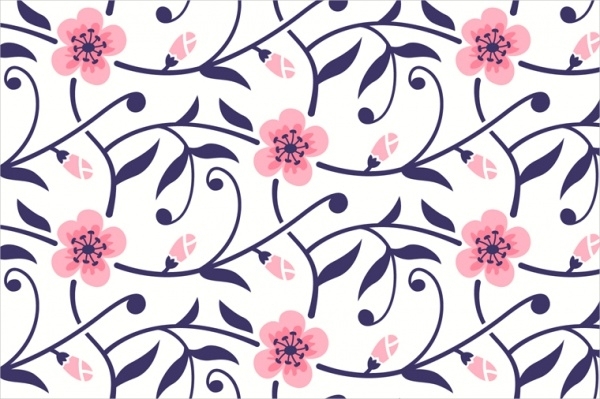 You can keep it neat and tidy and create a simple flower pattern as the one you see here that you can download as an editable vector for free. 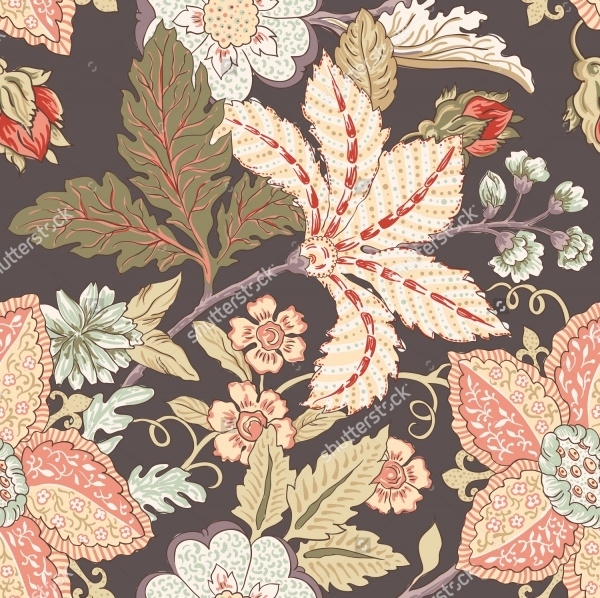 This one is more condensed and contains a lot more realistic appearance of flowers and greens to create the pattern that looks almost like the top view of a given bouquet. 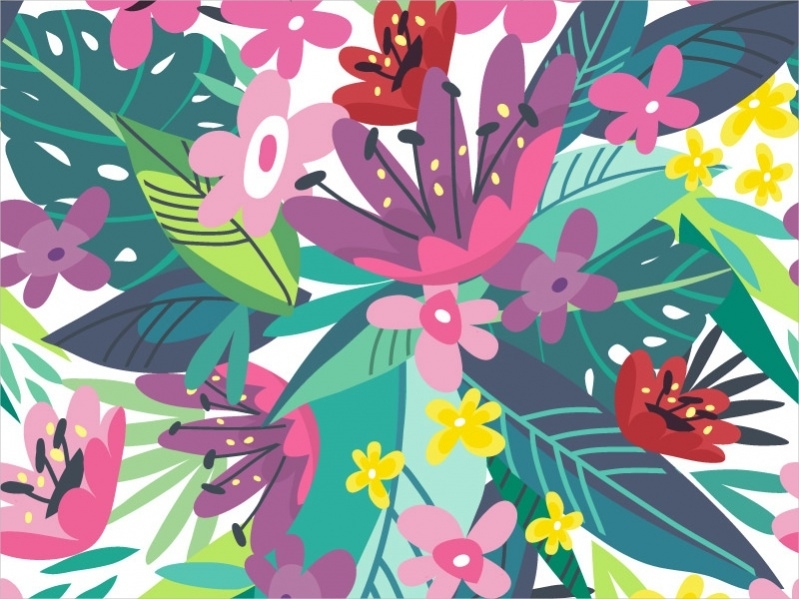 You can download this premium vector illustration from here. 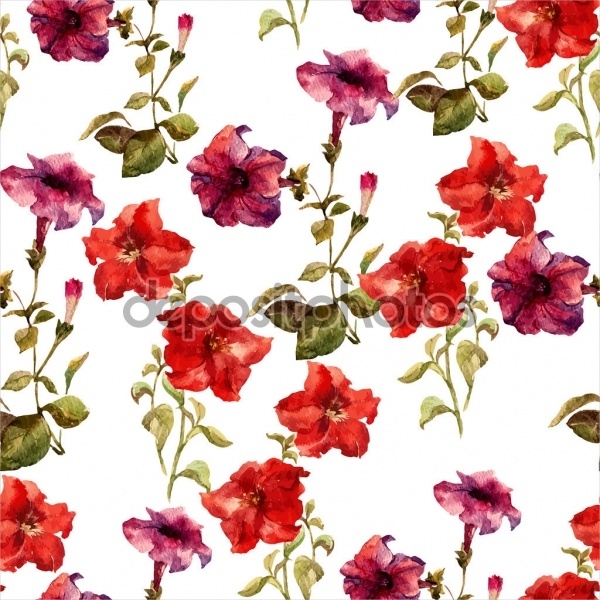 In the link provided below, you will find a pattern comprising of hibiscus flowers along with a couple of other plumerias. 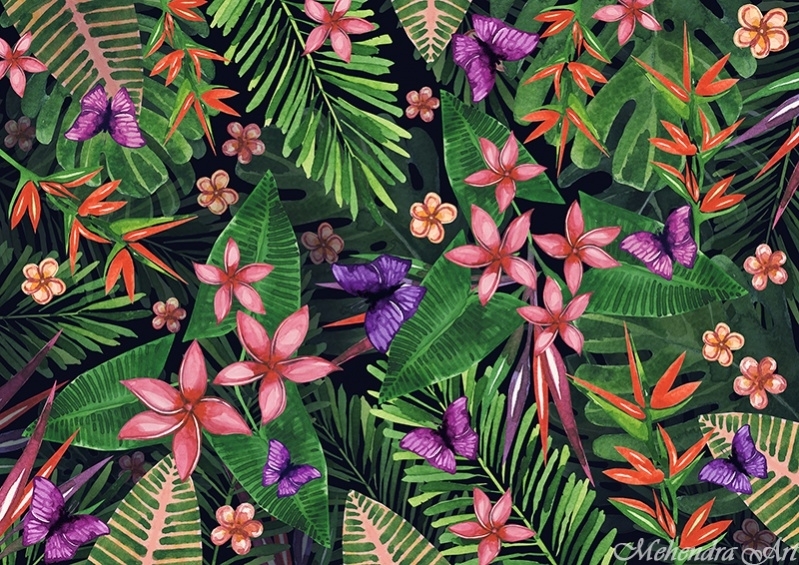 You can use it for background or as a fabric print to get great results for a tropical wear. 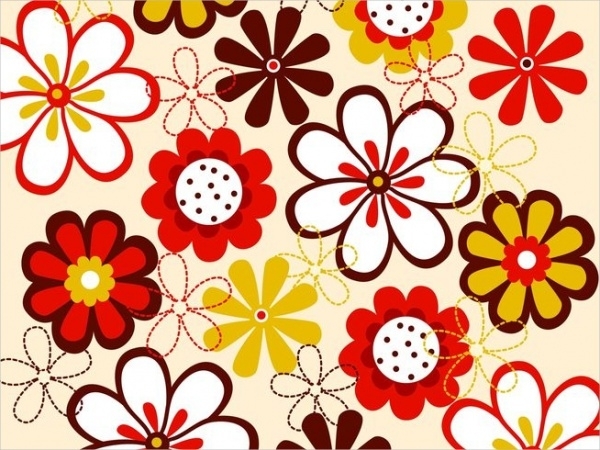 Here is a vintage looking flower pattern that will be a great wallpaper design or a gift wrapping paper design. You can download this stock vector illustration for free from the below-mentioned link. 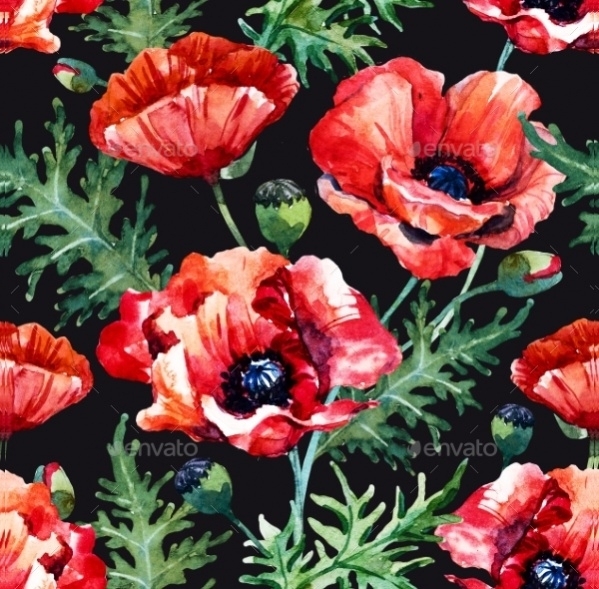 Check out this poppy flower pattern that started off as a painting and was later scanned for the output. The hand drawn water colored painting is definitely a great choice for a poster or wallpaper. Here is a milder and softer flower pattern compared to the last couple of them that you saw in the list. 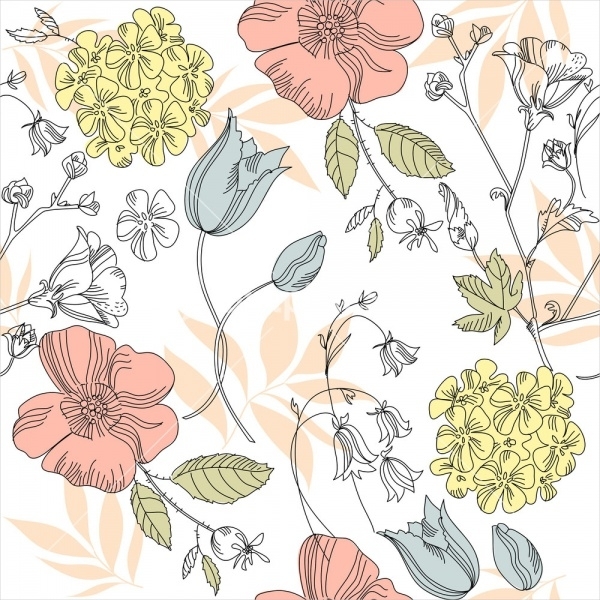 The design contains pattern made with wild flowers and is available to you to download for a price. Watercolor is a great choice to work with flower designs. And you can tell that from the number of such designs that you have seen so far. 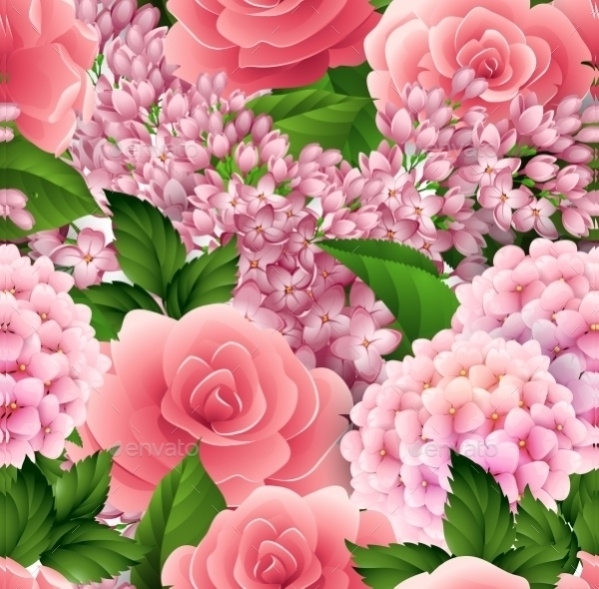 Here is another stock photo available for free comprising of roses and other flowers. 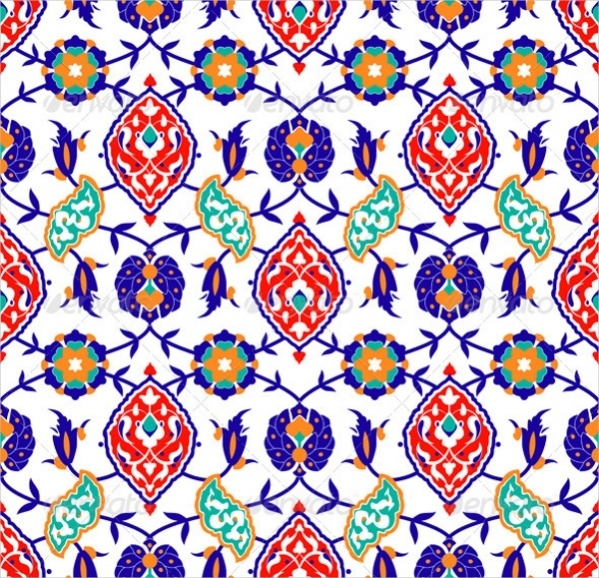 According to the designer, the design is a pattern comprising of traditional Islamic flower pattern set on a white background that you can download as an editable eps file or a high-resolution jpeg image. 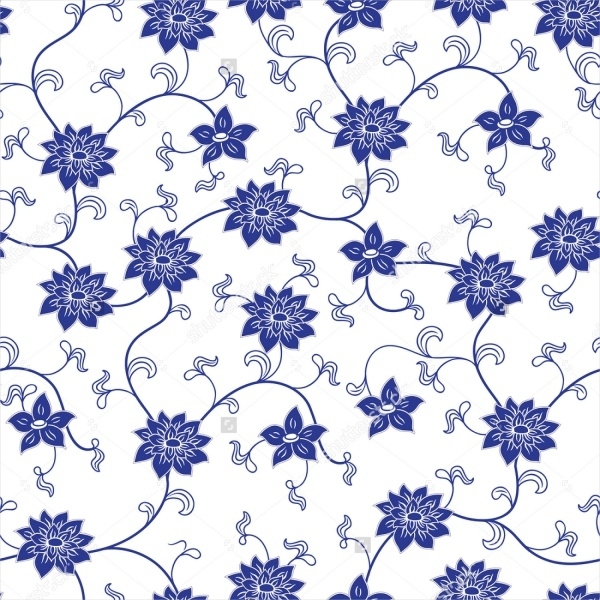 Carrying on with the traditional designs here is a seamless pattern that you might have seen on your ancient Chinese porcelain utensils and such. You can download this pattern for free from the given link. 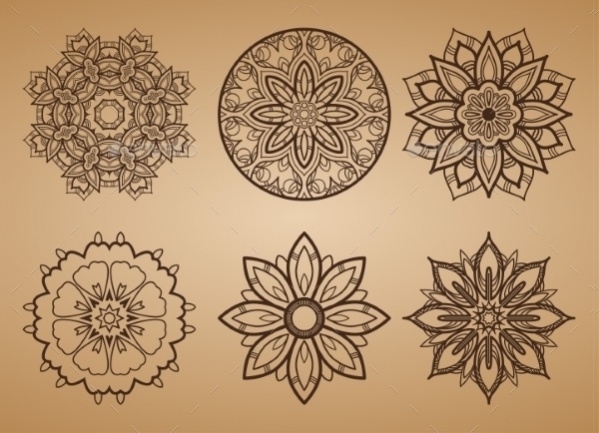 Here are designs for an abstract flower set inside a geometrical shape of a circle. 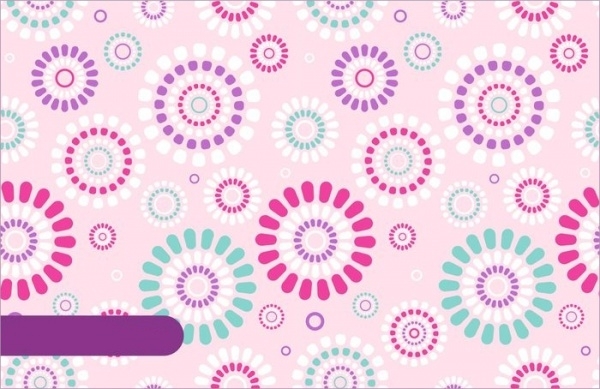 You can use these different designs to create your own pattern. Download the premium design pack from the mentioned link. 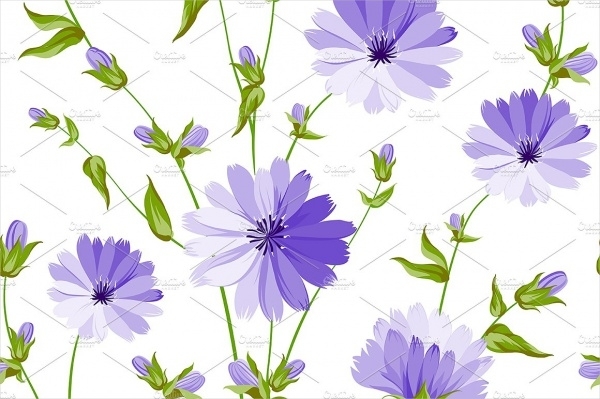 Another addition to the watercolor designed flower pattern is this great and beautiful looking stock illustration that you can download as an editable vector or a jpeg image set in different sizes. 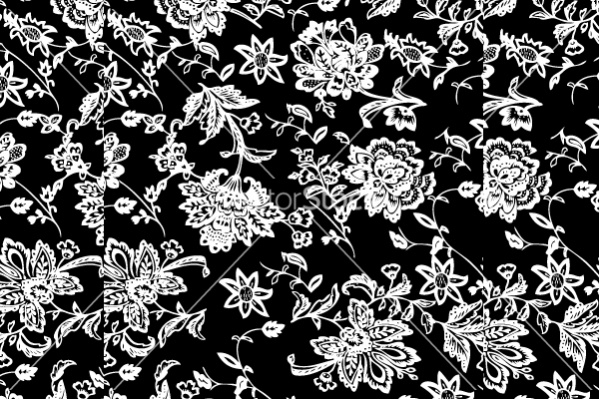 Here is a pattern set on a black background with just the outlines and silhouette done in white scratching. 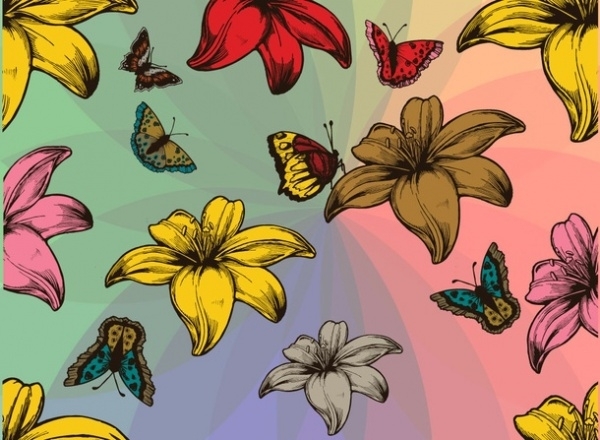 The beautiful design can be download as an editable vector in eps or ai format. 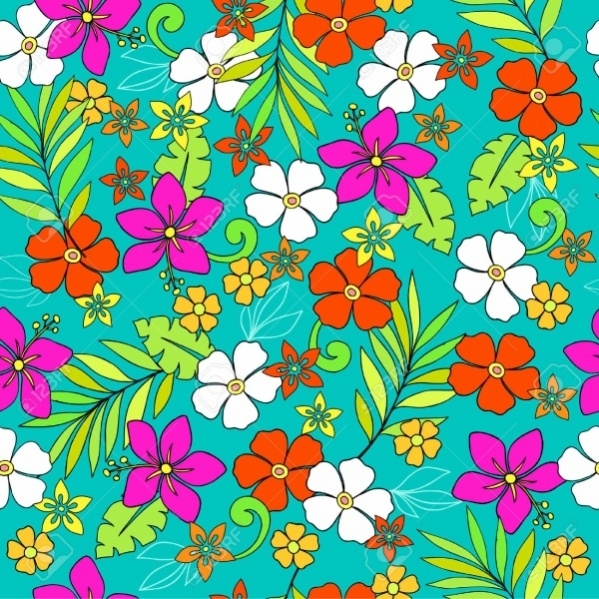 This one is not particularly actual floral print but the design has circular elements with reference to the flower and colored petals. You can download this vector illustration for free and use them in your projects. 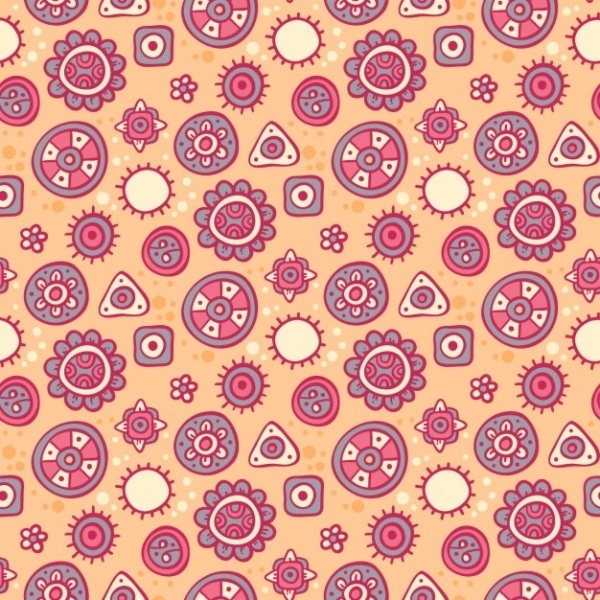 How to use these “Pattern Designs”? 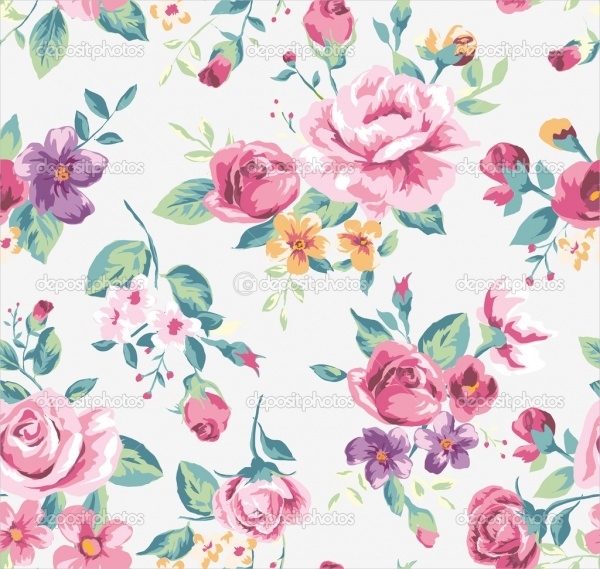 These seamless floral patterns are available in multiple file formats for you to pick from depending upon how good are you with them. Once you have downloaded them and know the purpose of the download, open an editing tool and start working on the overall design. In many of the links, the usefulness of the pattern has been mentioned, but for overalls, they make a great background for your any stationary design. Ranging from business card to party flyers, they can find their place in them. Apart from that, each one of them will be a great fabric print along with wallpaper designs and wrapping paper. 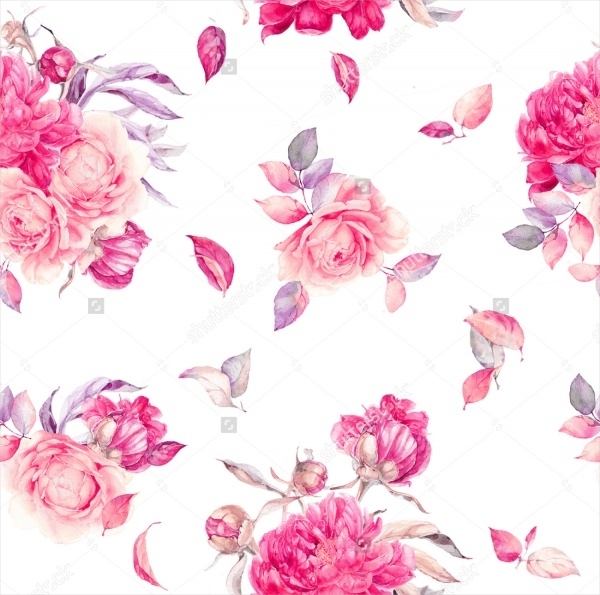 To conclude, these seamless floral patterns are all to be downloaded and saved for a day when you don’t know how to start with your design. If you are tight on the budget, there are many that are available for free for both personal and commercial use. Similarly, you can find multiple for various design themes and ideas as you like.